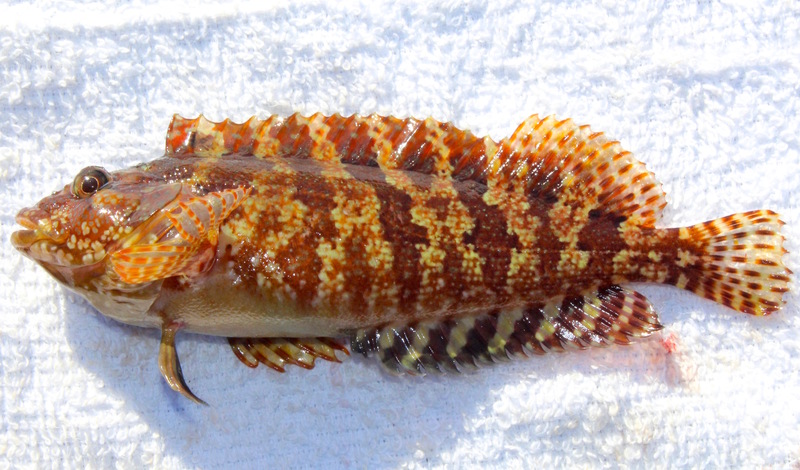 Species: Labrisomus xanti (T. N. Gill, 1860); from the Greek words labrax (a fish) and soma (body), and xanti meaning yellow. Range: An Eastern Pacific species found from Mexico’s central Pacific coast (south to Acapulco including the Revillagigedo Islands and Tres Marias Islands); the Gulf of California (Mazatlán to Roca Consag); and Baja, California’s Pacific coast (north to Puerto Mala Arrimo in Bahía Sebastián Vizcaino—central Baja). Some sources say the southern range on Mexico’s central coast is Bahía Tenacatita, Jalisco or Bahia Chamela, Jalisco (near Manzanillo, north of Acapulco). Apparently abundant in many areas. 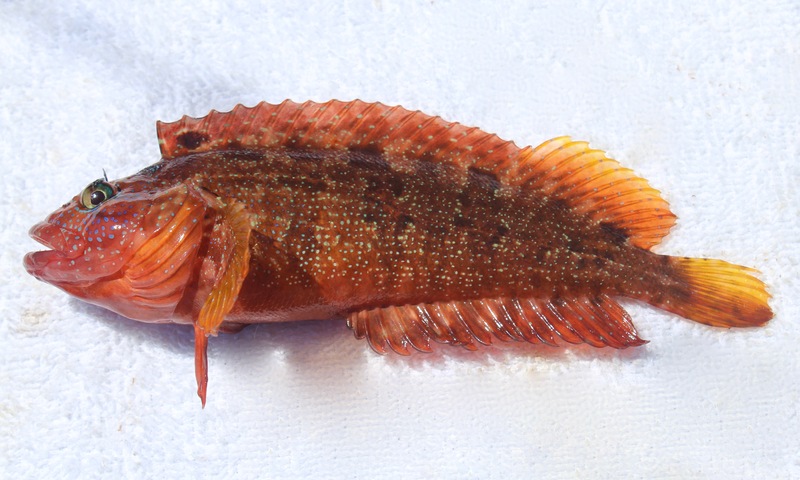 Unconfirmed reports from Panama (no date) and Peru (1919 and 1938) may be similar species; first reported in California in 2015 near La Jolla and now apparently fairly common at Catalina Island. 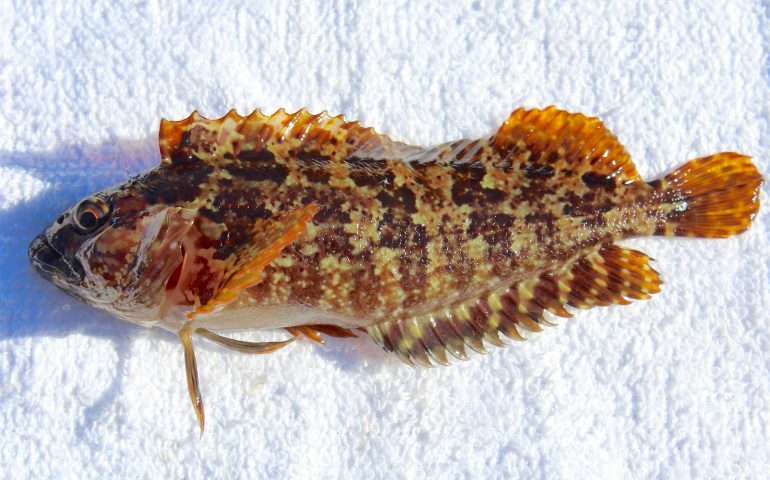 Habitat: One of the most common blennies and most common reef fish in the Gulf of California (Sea of Cortez). Generally found in kelp-covered, rocky shorelines and in coral reefs down to a depth of about 35 feet. 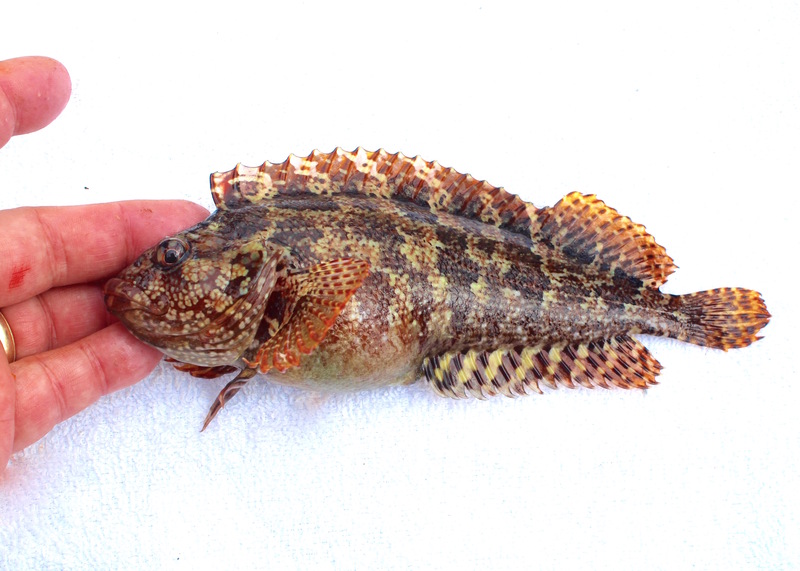 Considered a shallow water diurnal (day-time) predator that feeds mostly on benthic (bottom) crustaceans such as small crabs and shrimp. Piers: Green Pleasure Pier and Cabrillo Mole, both in Avalon on Catalina Island. Bait and Tackle: Small hooks (size 6 or smaller) baited with pieces of shrimp or worms (blood worms and lug worms) when fished on the bottom will do the trick. Food Value: Given their small size it’s better to simply let them go. Comments: On a trip to Avalon in June 2017 I caught two of these fish, one at the Green Pleasure Pier and one at the Cabrillo Mole. Initially I thought they might be a species of kelpfish but the fins were wrong for kelpfish. I went through my normal fish I.D. books and couldn’t identify the fish so I sent a note to Milton Love at UC Santa Barbara. 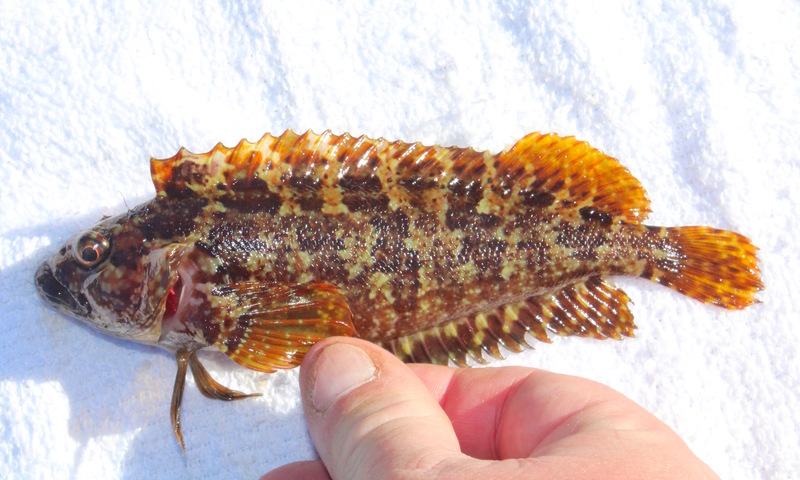 It turned out he (and others) had recently written a paper on the fish: Largemouth Blenny. They apparently showed up in California about 2015 and are now fairly common at La Jolla and Catalina Island. The speculation is that they moved north during the El Niño warm water conditions of 2015 and decided to stay. In December of 2017, I caught two more of the fish at the Cabrillo Mole.